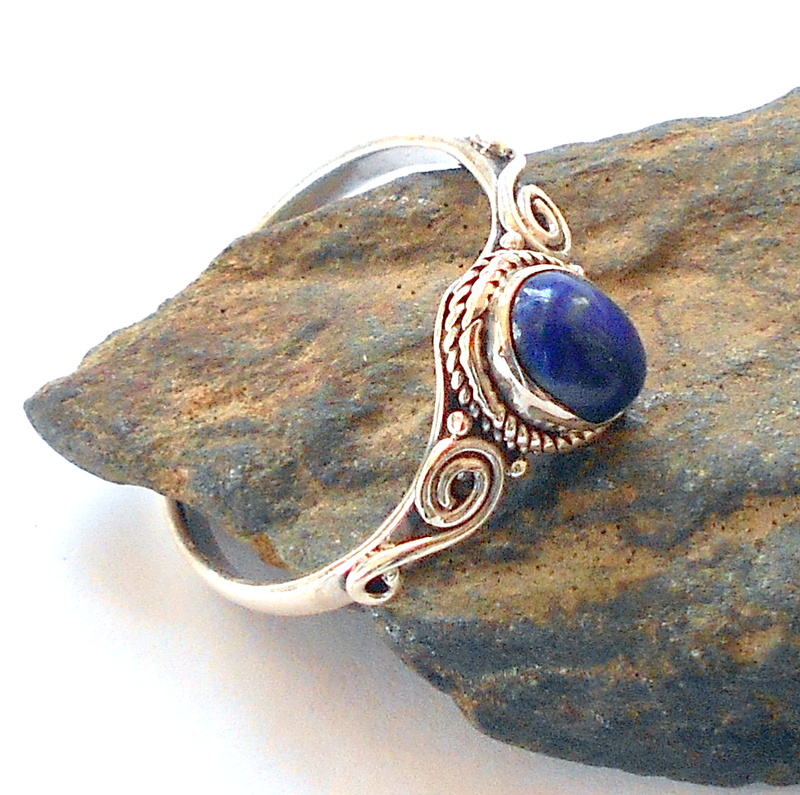 Lapis lazuli sterling silver ring, size 9. Lapis lazuli is a stone of honesty, creativity, and compassion. Lapis possesses enormous serenity and releases barriers and blocks. 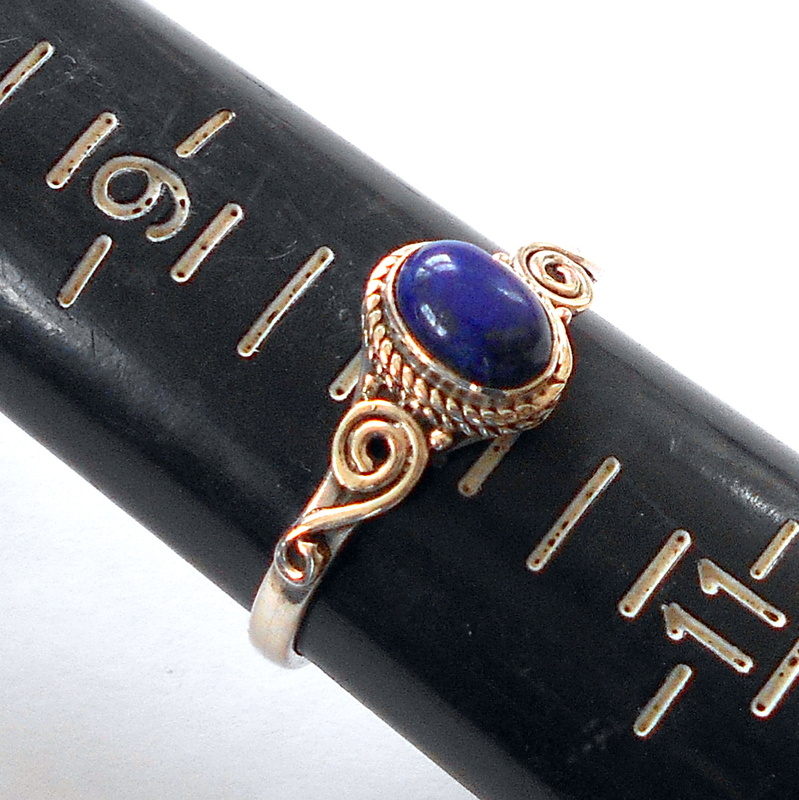 Lapis is a stone rich with ancient history. 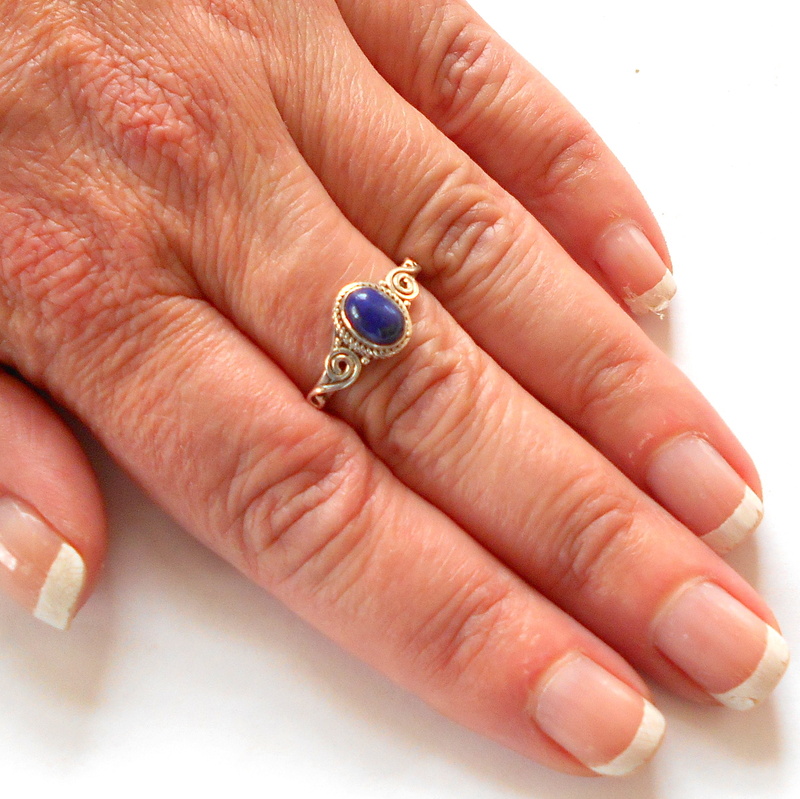 Buddhists believe lapis brings inner peace and freedom from negative thoughts. In Europe lapis was used as an antidote to snakebites.